From offering permanent makeup to tattoo covering and general makeup services you will find everything you need at Mad Makeup. This professional service knows exactly how to bring your wedding look together and will provide all of the advice you need for your big day. Their beauticians are also able to listen to exactly what you want and create the look that you have always dreamed of having. Mad Makeup aims to exceed all expectations so you shouldn’t hesitate to ask for something extra special, they will do everything to make it happen. 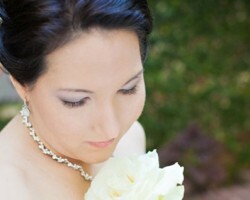 Ana believes that every bride should look her absolute best when it comes to her special day. Now with over a decade of experience as a makeup artist in San Antonio, CA, Ana is able to provide unbeatable results and priceless advice. Not only does Ana and her team have timeless skills but they are also dedicated to continually studying new trends and are therefore able to provide you with the latest makeup techniques or hairstyles. Viewing her gallery will convince you to hire Ana immediately. 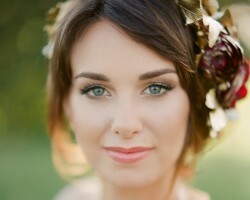 It can be difficult to find a bridal makeup expert that understands all of the intricacies that the big day demands. From photography to concentrating on your hair this team will take everything into account and create a look that matches the entire day and not just one aspect. In addition to having one of the best selections of services in the industry they also clearly list all of their prices so you are able to see just how affordable quality wedding hair and makeup services can be. It Is true that there are several choices when it comes to San Antonio makeup artists but very few have the reputation that Kristin Daniell has. This expert is known throughout Texas and has been assisting women in getting ready for their wedding day for many years. Not only does Kristin have an impressive portfolio but she has experience with a huge number of previous clients and a number of celebrities that she has worked with. You will certainly not regret choosing this professional. More and more future brides are turning to permanent makeup options before their wedding day and the best choice in San Antonio is Terry Lively. She has been providing cosmetic tattooing for many years and is able to pull off any look that you love. Terry is qualified to provide assistance with 3-D realistic eyebrows, lip liners and eyeliner. Viewing some of her previous work serves as evidence of her quality more than reviews ever could. Not only is her work incredible but clients also love the warm customer service that comes with it.